Since May is National Vision Health Month, I thought it would be a good time to talk about some of the mythology that creates barriers to good eye health for seniors. Mythology around aging and vision is probably the leading cause of blindness in Canada. There is a disturbing assumption among many adults that losing one’s vision is a natural part of the aging process. While there are certainly some natural changes that happen in the eye as we grow older, they need not lead to blindness. The dangers posed by the mythology are compounded by the assumption that if I can see well, then my eyes are healthy. Good vision is not necessarily an indicator of good eye health. Diseases like glaucoma and age-related macular degeneration (AMD) can often only be detected through a comprehensive eye examination. Of more concern is the fact that the mythology comes into play just as seniors reach the age when they are most vulnerable to eye disease. Adults aged 65 years or older are at higher risk than younger people for a number of eye conditions and diseases that can threaten sight, including cataracts, diabetic retinopathy, macular degeneration and glaucoma. 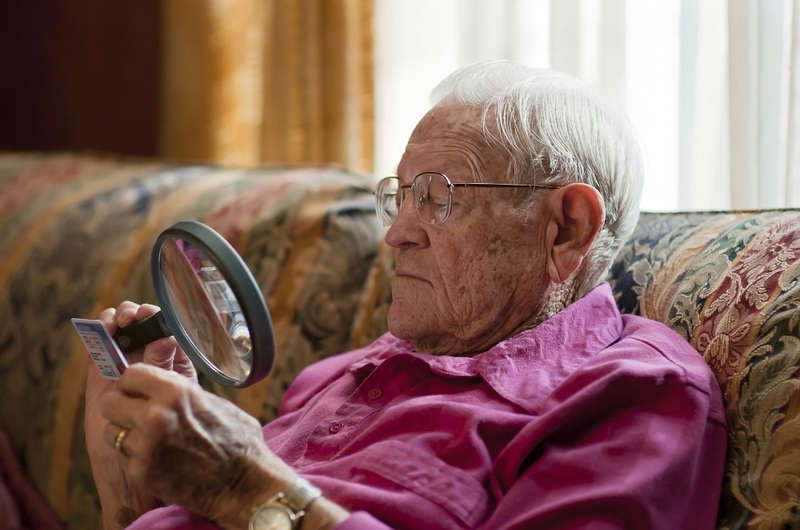 Instead of getting an exam that could detect and help them manage eye disease, many seniors get ready for vision loss. People suffering from vision loss are admitted to nursing homes three years earlier than people without vision loss. Vision loss doubles social dependence. It doubles the risk of falls. It triples the risk of depression. It quadruples the risk of hip fractures. It doubles the mortality rate. Like everything else in the body, our eyes are affected by our overall health, and thus an eye exam provides a sense of our general condition. Eye exams also offer an added benefit. By looking into the eye during a comprehensive eye exam, a health professional can detect a number of potentially serious health conditions, such as tumours, aneurysms, autoimmune disorders, thyroid disease, sickle cell disease, liver disease, multiple sclerosis, Parkinson’s disease and other neurological or brain disorders. The eyes are one of the few non-invasive ways to look into the body. In many respects, they really are the windows to our health. For most seniors in Canada, eye exams are available through the public health system, so it really does come down to a question of awareness. When my fellow optometrists and I encourage seniors to get an eye exam, it’s because we know a comprehensive eye exam can do more than test their vision: it can help save their life.